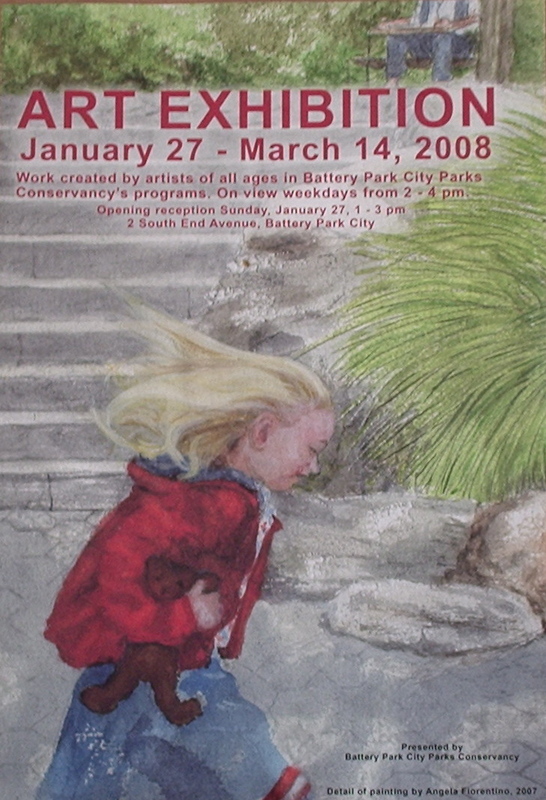 Battery Park, 2007. Watercolor, 10.5" x 14.5". As part of a NYC arts program, every Saturday in summer, Battery Park volunteers provide art materials to passers-by who like to paint. 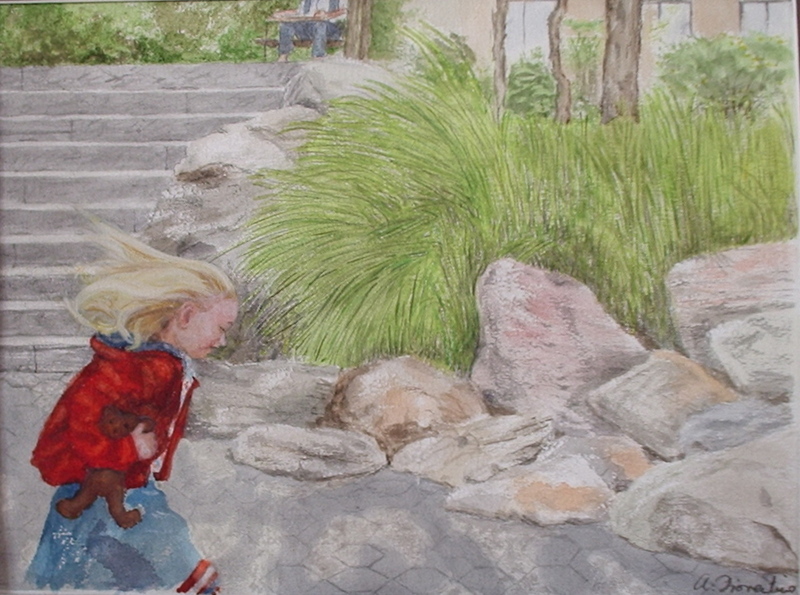 The following Spring, a selection of the paintings is shown at a Parks Dept. gallery. I was pleased to have this painting chosen to be used as a poster advertising the exhibit. Nearly all my paintings are completely original, but this is my version of a painting I saw somewhere. 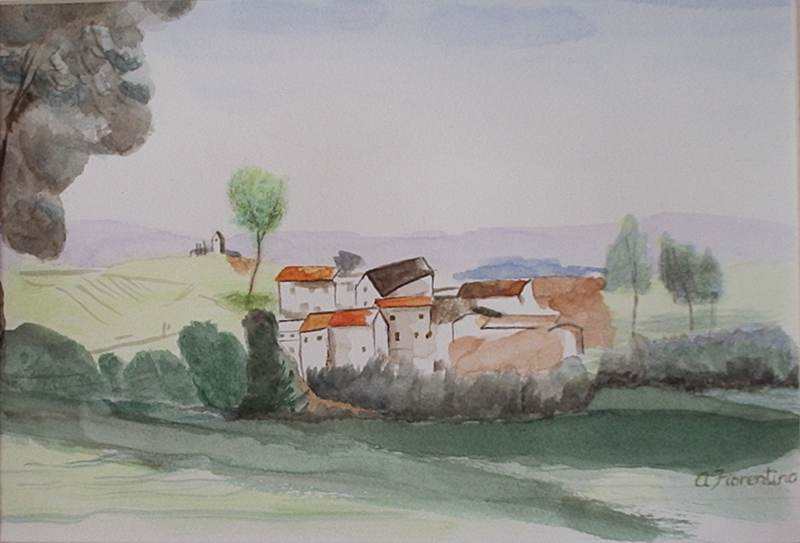 "Orange Roofed Village", watercolor, 9.5" x 14.25". 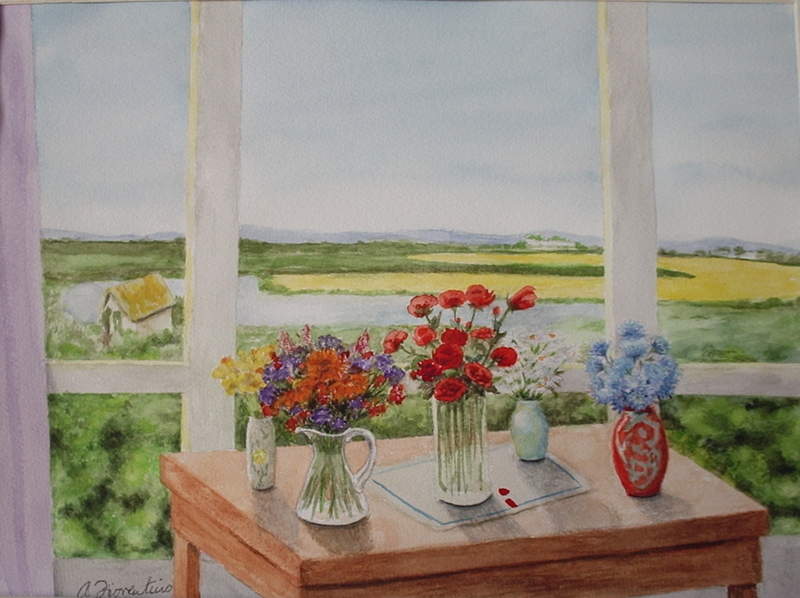 "Five Vases", watercolor, 10.5" x 14.5".